Children at Lincoln Minster School met Double Paralympic champion and world record holder Hannah Russell. 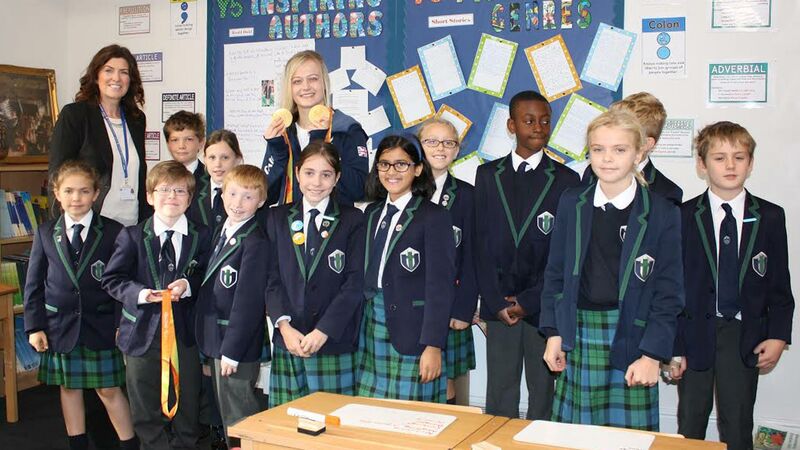 On Monday, October 10, Hannah, who claimed gold in the S12 100m backstroke and 50m freestyle in Rio de Janeiro this year, met pupils from Year 1 to Sixth Form. Throughout the day she spoke of her journey to becoming an elite athlete. Hannah’s visit comes on the back of a hugely successful ‘Women in Sport Week’ for the school which saw success in regional and county tournaments in tennis, hockey and netball. Headmaster Mark Wallace said: “We were thrilled to welcome Hannah to Lincoln Minster School. “We really wanted to celebrate Women in Sport Week within the school to encourage as many of our pupils as possible to get involved in sport and activity. “We enjoyed a hugely successful week including winning the AEGON U15 Tennis championship.